When you use recyclables to make this gift wrap, children are learning conservation, frugality, and to appreciate everyday materials they see and use. See how many different ways a present can be wrapped with the projects below. Provide the children with solid-colored paper and then set up colors of tempera paints in containers (rectangle cake pans work well) for the Christmas season. Place a small pine bough into each color pan. Invite the children to dip the boughs into the pans and "paint" the wrapping paper with this natural paint brush. This creates a very airy, brushed effect on the paper. Once it is dry, the children can wrap their gift. 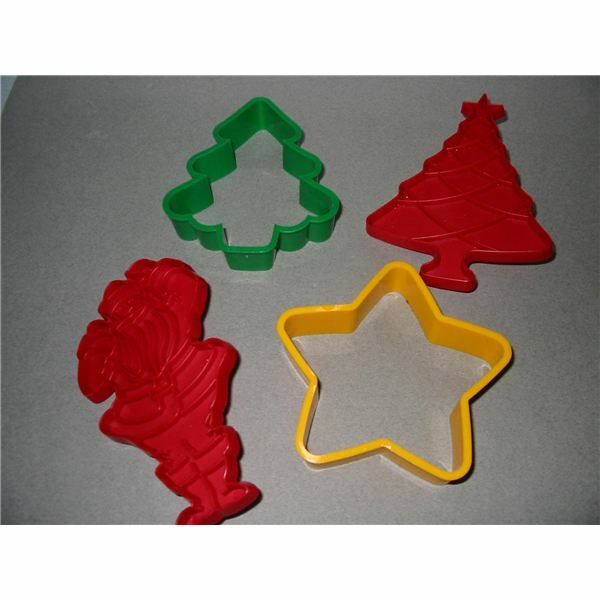 Spread out an assortment of holiday cookie cutters (trees, stars, mittens, bells, etc) on the table. Give the children a large sheet of white, brown, or other solid colored paper. Invite the children to press cookie cutters into the paint tray of tempera paints and then onto their gift wrap paper. Place designs randomly on the paper to fill it from top to bottom. After drying, the paper is ready to use to wrap gifts. This is a great activity for the younger children when scribbling designs on paper makes lovely gift wrap, as well as a work of art. Cut off the bottom of a brown paper bag and down one end to make a flat coloring surface. Invite the children to scribble all over the brown paper with bright crayons in holiday colors. When finished, help the child wrap his gift. As you take walks during the year, collect small nature finds such as feathers, maple tree seeds, evergreen pine needles and such. During the holidays, instead of placing bows on a wrapped gift, let children decorate the top of a package with these natural items attached with glue. An adult with a glue gun will need to attach heavier items such as pine cones, sea shells, or acorns. Cartoon Wrap: Sunday newspaper comics make colorful wrapping paper and a way to recycle newsprint. Catalog Wrap: Use colorful pages from toy catalogs or holiday catalogs that come in the mail. Don't waste these catalogs–reuse them! Sticker Wrap: Begin by wrapping the gift in a solid color paper. Invite the children to apply adhesive stickers to the package. Aluminum Foil Wrap: Children can wrap gifts with aluminum foil. This paper can be decorated with crayons and/or stickers. Never underestimate the power of recycled materials to make beautiful wrapping paper this way. These materials are inexpensive and easy to do with your preschool class. A child will feel joy between making homemade gifts and wrapping them in their own creative homemade gift wrap. Teaching children to give is an important lesson to be learned. These articles will provide plenty of ideas for making these homemade projects from start to finish.